Japan is on everybody’s mind these days. 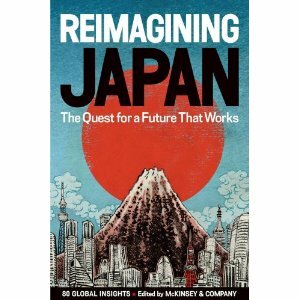 I was lucky to be asked to contribute an essay to a fantastic collection, Reimagining Japan, just out. It is already #1 nonfiction book in Japan and sold out in English on Amazon, but more copies will be available soon. The other contributors are artists, writers, historians, economists, CEOs and even a soccer coach and a videogame creator. Gorgeously illustrated and beautifully packaged, it has been called the most comprehensive book about Japan ever. You might have to wait a few weeks to hold it in your hands but, if it’s any consolation, so do I. 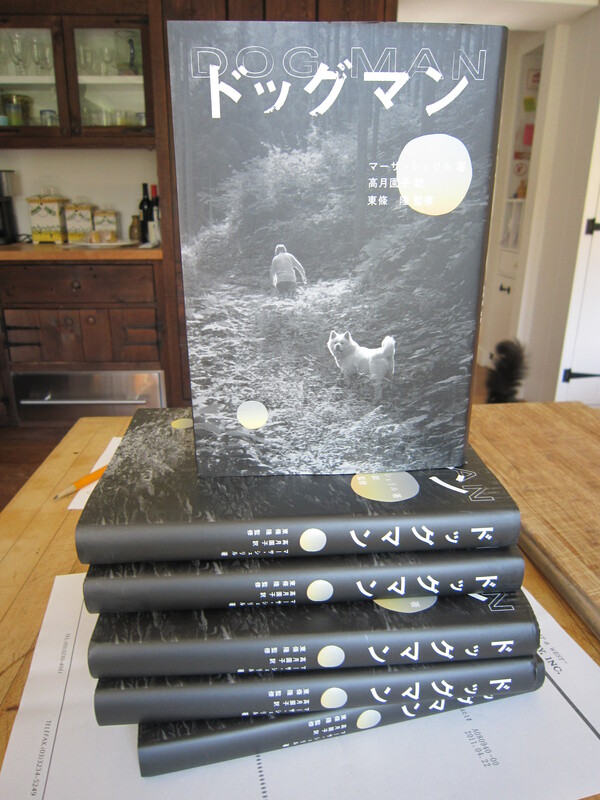 Just arrived in the mail from Japan: copies of Dog Man, translated into Japanese and published by Odyssey, a small family-run press in the north of Japan. I am so happy to see this amazing life story — which the Sawataishis were courageous to share so honestly with me — making a way back to its home country. 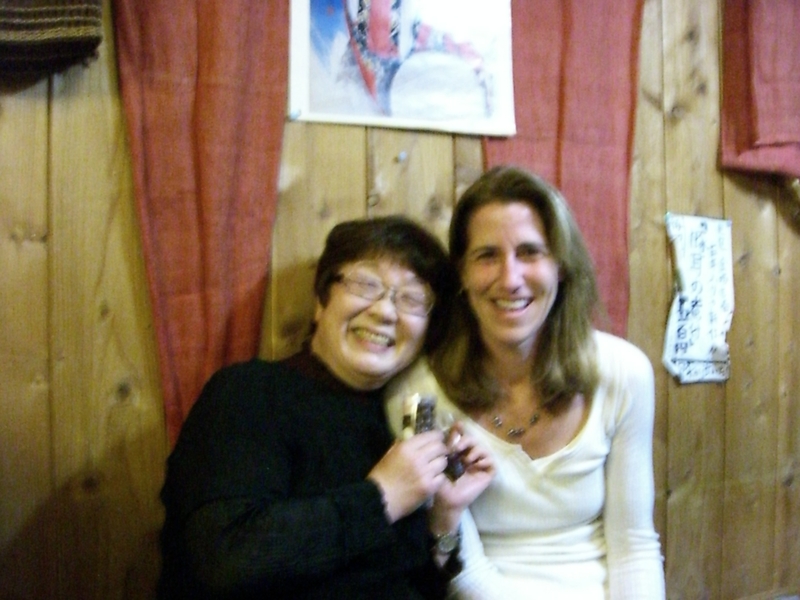 At such a difficult and dispirting time for the north of Japan, I hope this story of endurance, personal fortitude and resourcefulness won’t just amuse and entertain readers, but inspire them. 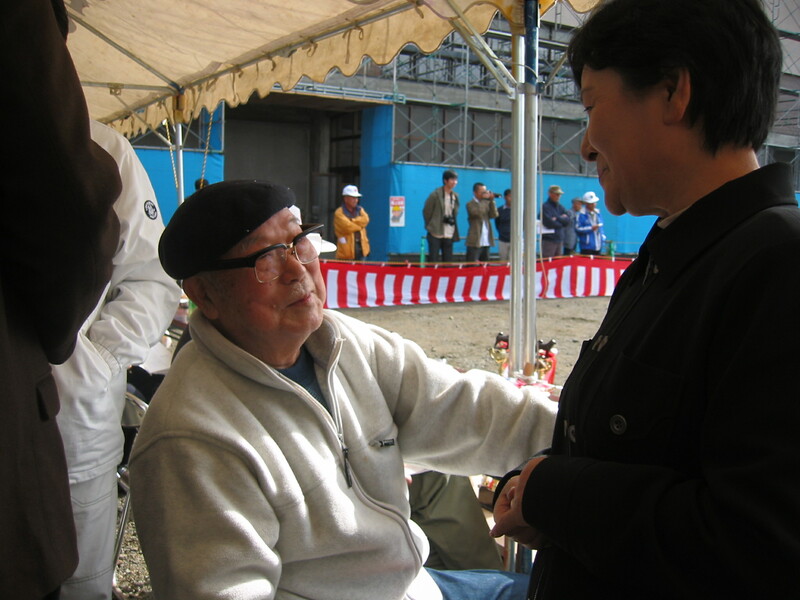 I know how much the Sawataishi family would appreciate all the calls and emails of concern I’ve gotten about them since the earthquake and tsunami hit the north of Japan last week. So many readers of Dog Man: An Uncommon Life on a Faraway Mountain came to feel close to this wonderful, resourceful family, whose lives were chronicled in the book. Their family home is in Kurikoma, not too far from Sendai, which is where so much of the damage has taken place. Good news. All members of the extended Sawataishi clan are safe. Atsuko Fukushima, the oldest daughter of Morie and Kitako, evacuated her house in Fukushima (like her last name) — very near the epicenter of the quake — just in time, and was able to travel with her husband Noritsugu and their dog Bobby to a country house owned by their daughter Yukari near Nasu Kogen. Atsuko’s house in Fukushima was severely damaged — and now, due to the meltdown of the nearby nuclear plant, it is unclear whether she will be able to return. The condition of the Kurikoma house, which had just been restored from the 2008 quake, remains unknown at this point. I will keep you posted. In the meantime, I know you will all join me in wishing Atsuko and Noritsugu, and the country of Japan, much strength and energy and good fortune in the years ahead. 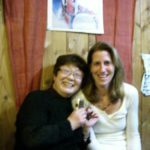 This is the time of year to remember Morie Sawataishi, the man who saved the Akita dog from extinction. The anniversary of his death, October 22, is less than three weeks away. Morie did more than just devote his life to rescuing and restoring the Akita dog in Japan after World War II. He devoted himself to Japan’s snow country — the isolated and forgotten north. He devoted himself to loyalty, inconvenience, hard work. He devoted himself to the forests and woods of Japan, and to a rugged mountain life where he could raise and train his champion dogs. Post your comments of appreciation, photos of your dogs — Akita or otherwise — and your good wishes to the Sawataishi family on the Facebook page, “Dog Man: One Man Saves Japan’s Akita Dogs.” There you will find hundreds of Akita lovers, nature lovers and dog lovers on a page created by Scribe, the Australian publisher of my book, Dog Man: An Uncommon Life on a Faraway Mountain. The Sawataishi family will be looking in . . .